December 8, 2016  In 2010, the acquisition of William Savory's legendary collection of almost 1,000 live recordings had jazz fans salivating. Now, 40 restored tracks from the Savory archives are available on iTunes. June 1, 2006  Tap dance pop from Tilly and the Wall; Angular '70s new wave from Delta 5; The '80s unplugged with Tommy Tutone; Jazz sax legend Coleman Hawkins; The electronica of I Am Robot and Proud and more. November 9, 2004  The soulful and inspired Ray LaMontagne; The homespun songs of Amy Correia; Listening to TV on the Radio; The unpredictable Vincent & Mr. Green; Ever-dry, ironic rockers Cake and more. 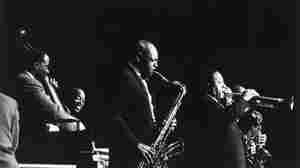 July 21, 2008  Fresh Air's jazz critic has a listen to a re-issue of The Hawk Flies High, the 1957 album from tenor saxophonist Coleman Hawkins — who's often credited with legitimizing that instrument in the jazz world. November 23, 2004  This week marks the centennial of the birth of Coleman Hawkins, the jazz saxophonist who helped define his instrument. A new recording compiles some of Coleman Hawkins' best work, and critic Jim Fusilli says it's a must-have for any fan of American music. 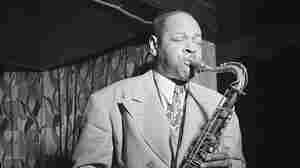 November 20, 2004  The legendary jazzman Coleman Hawkins would have been 100 years old Sunday. Music historians say masterpieces such as "Body and Soul" and Hawkins' dexterity on the tenor saxophone helped change the genre. His love of classical music also informed his music. Tom Vitale reports. November 21, 2012  Starting in the 1920s, Hawkins made an afterthought of an instrument into one of the sounds we most identify with jazz. He also straddled the era of big band swing and later developments like bebop. Here are five songs that illustrate his genius. 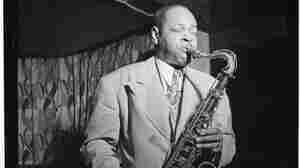 August 1, 2001  According to jazz critic Murray Horwitz, Coleman Hawkins "virtually invented the tenor saxophone." Hawkins' album, A Retrospective 1929-1963, traces his prolific career from his early jazz riffs with Fletcher Henderson to collaborations with Sonny Rollins in the 1960s. 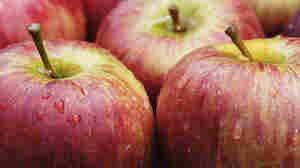 October 19, 2009  There are thousands of apple varieties — even a new breed called "Jazz." Much like the music that lends its name to this autumn delight, Jazz is a hybrid. The time is ripe for planning that apple-picking day trip, so get the caramel ready for five crisp, fleshy jazz tunes related to a certain favorite fall fruit.